*> Enter some related blog or website and perform some copycat activities then collect over to the "publish button". But, I was doing the whole thing wrong! Hurting my knowledge and my blog ranking. *> Apply for any Ads that convert very well. Yea! Content is met to be updated and renewed. In regards to the first wrong idea of mine that I thought that the whole thing was to do copycat activities then, publish to my Audience, I thought the entire issue was just like that. Now, my advice to those who perform just as the first wrong point wrote about, I have a very crucial secrete to tell you. Copy someone effort[one article] is a very good idea but come to think of it, downloading Youtube video and re-upload it to Youtube without giving it a tour editing believe me Youtube will have that same as a copied right claimed video(s) right? You need also to ask yourself this question, I copied one's content and uploaded to your website or blog with even editing, how do you feel? Do you know about "AUTO-BLOGGING?" It's just like that! How many sites or blog you know today that operates Auto blogging platform that still lasts long? So far so long when GOOGLE detent your contents are stolen from others blog or websites believe me that blog or websites will be penalized by GOOGLE and you know what that will leads to. Google would have loved to rank the best content. Even if the content was from another source me while the content should have undergone proper and well touching[editing it very well before posting]. This all depends on the quality not the number of your contents you produced. Now, this is separate; coping contents from others source is a very good idea because it helps you to reawaken you an idea to put in, in that particular title you want to write on. But, I would rather be called this as seeing contents from another source [some one articles] most especially the targeted key "the title" will make you have great and better idea, to begin with, your own idea on that particular topic. *> Laying a complaint about GOOGLE keeps on declining their application. *> Most publishers do always complain that "GOOGLE don, not craw or index their post" how would you expect GOOGLE to index the post that whose contents are already indexed with same title and same body on the search engine.? Now what this post is trying to convey to you is that when you what to import someone contents I encourage you to please make every important change of words relating to what the title trying to cover. Write in your own phrase, in your own sentence and best of all in your idea. This will help you to boost your ranking. Believe me, when you put the best of your effort to edit the articles it will rank more than from the real source. 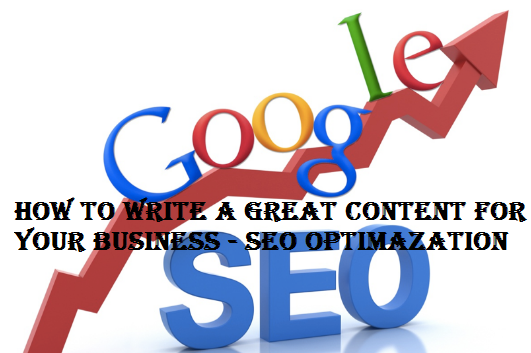 Even without manually noticing GOOGLE that you have a new post, they will love to index it in fastest time because they need the best of all. You have come to the end of the post, what is your opinion? drop yours for more viewers to learn too! Also come back for the best part.